Welcome to Petlandia! 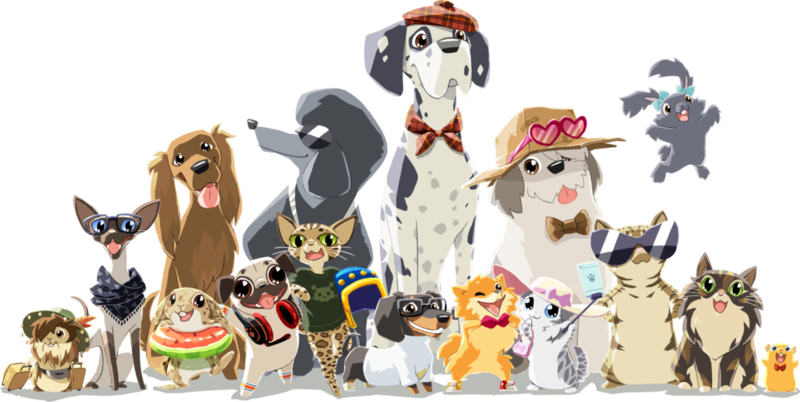 We hope that you will love our Petlandia products, some of which are made to order and personalised based on a pet’s name and look. These terms and conditions (“Terms”) tell you who we are, how we will provide our products to you, how you and we may change or end our agreement, what to do if there is a problem, how to contact us and other important information. Please read these Terms carefully before you submit your order to us. By ordering our products, you agree to these Terms. You can print a copy of these Terms by clicking on the print icon on your browser. We are Mind Candy Limited, a company registered in England and Wales. Our company registration number is 05119483 and our registered office is at 4th Floor, Bonhill Building, 15 Bonhill Street, London EC2A 4DN, UK. Our VAT number is GB252964288. You can contact us by writing to us at [email protected] or our registered office address above. If we have to contact you we will do so by telephone or by writing to you at the email address or postal address you have provided us with. To cancel an Order or request a replacement, you must send an email to [email protected] with your Order number, specifying whether you want to cancel or order a replacement and your reasons. We may, at our discretion, request that you return the product to us within 14 days of notifying us, ensuring that the product is in its original packaging (which you should retain for this purpose), using the pre-paid return label we send to you. Summary of your legal rights. We are under a legal duty to supply products that are in conformity with this agreement. See the box at the bottom of this page for a summary of your key legal rights in relation to the product. Nothing in these terms will affect your legal rights. Alternative dispute resolution is a process where an independent body considers the facts of a dispute and seeks to resolve it, without you having to go to court. If you are not happy with how we have handled any complaint, you may want to submit your dispute for online resolution here http://ec.europa.eu/consumers/odr/index_en.htm. The competition is open to residents of the United Kingdom aged 16 years or over except employees of [Mind Candy] and their close relatives and anyone otherwise connected with the organisation or judging of the competition..
Route to entry for the competition and details of how to enter are to take a picture with your Petlandia gift and tag @PetlandiaPost and use hashtag #PetlandiaParcels on Facebook, Instagram or Twitter. Closing date for entry will be the 31st December at midnight GMT. After this date the no further entries to the competition will be permitted. Winners will be randomly chosen on the 8th January 2018. The winner will be notified by email and/or DM on Twitter/Facebook. If the winner cannot be contacted or do not claim the prize within 14 days of notification, we reserve the right to withdraw the prize from the winner and pick a replacement winner.